With 82 diverse neighborhoods, Lexington is the second largest city in Kentucky. But while living in the city does come with its share of perks, it also means you need to secure your home against the property crimes that affect 1 in 24 people in Lexington, according to 2015 FBI statistics. When you choose Vivint for your home security system, you’ll receive top-quality support and the ability to customize your package with the right equipment for your needs. From security cameras to motion detectors, Vivint has everything you need to protect your family from being victimized by property crime. You can further protect your family and enjoy added peace of mind with home automation. With Vivint Smart Home technology, you don't have to worry about whether or not you remembered to lock your doors before leaving the house. Simply use your app to lock your doors remotely! Away on vacation? Set your lights to turn off and on automatically to create the illusion that someone's home. 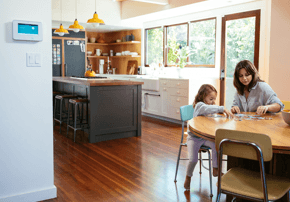 You can even sync your Vivint equipment with your Amazon®	Echo to arm your security system every night with just your voice—no more shuffling around in the dark trying to find the control panel. Whether you live in Twin Oaks or Idle Hour, Vivint knows how to protect your loved ones and belongings. Call now at 1-877-553-3497 to learn more! How Are My Neighbors Using Vivint in Lexington? Burglaries contribute to more than 20% of property crimes in the Horse Capital of the World, according to 2015 FBI statistics. Fortunately, a Vivint home security system can help you feel confident and safe. Whether you need motion sensors, security cameras, or glass break sensors, Vivint offers everything you need. And you can customize your package to get all the features you want and none that you don’t. For instance, Vivint’s tamper-proof window and door sensors can detect intruders trying to force their way inside. Vivint’s Tilt Sensor is perfect for monitoring garages and sheds. And Vivint’s motion-activated Ping Camera can use infrared technology to detect unusual activity inside your home. It can even facilitate two-way communication, so you can use it to keep an eye on your kids after school. Plus, with Vivint’s doorbell camera, you get what USA Today calls, “caller ID for your front door”—it allows you to see, hear, and talk with visitors even when you’re not at home. Described by Forbes as “a one-stop-shop to building a smart home,” Vivint brings you the latest in innovative technology designed to make your day-to-day life easier and more convenient. 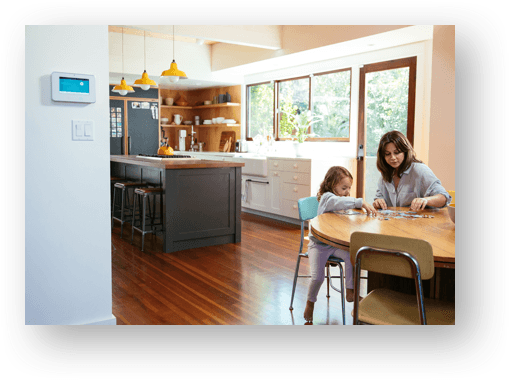 With Vivint, you can choose from a variety of automation features and set up your ideal smart home in the heart of the Bluegrass Region. Whether you opt for Vivint’s garage door control technology, automatic door locks, doorbell cameras, or all three, Vivint allows you to live smarter! With the garage door control, you can get phone alerts anytime you forget to close your garage door before leaving home. You can even use the Vivint app to close it remotely. Plus, you’ll get remote control over your thermostat, light and appliance controls, and any other home automation features you’ve included in your package. And that’s just the beginning! 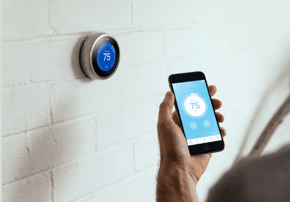 Vivint smart home technology can also be integrated with the Nest Thermostat for increased control. That way, you can maintain a comfortable, secure home and cut down on your Lexington home’s energy costs. 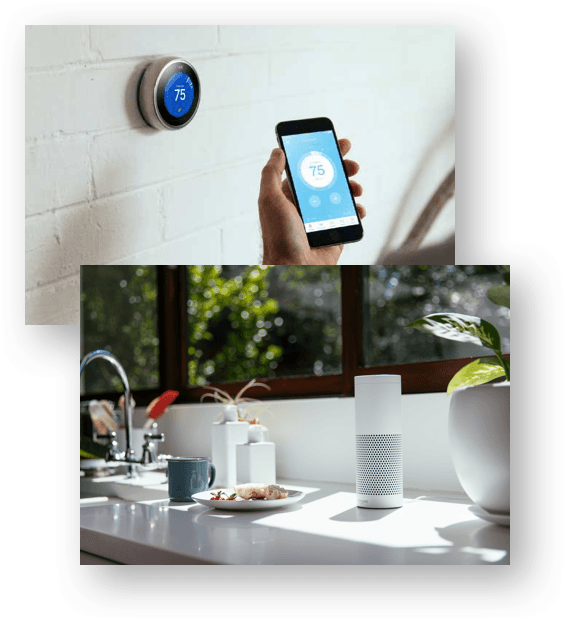 Plus, Vivint systems are compatible with the Amazon Echo, so you can enjoy the added convenience of voice control over your thermostat, security features, and more. And to top it all off, you can stay up-to-date on everything going on at home with Vivint’s security cameras and heat/freeze/flood sensors. You can’t get that level of awareness from your typical smoke detector! So don’t wait—call today at 1-877-553-3497 to revolutionize the way you interact with your Lexington home. Choosing Vivint means getting free installation* of your home security system, along with a $0 activation fee! You can schedule your installation with Vivint customer service at your convenience. It’s performed by a knowledgeable, trained professional who will walk you through your new system, your SkyControl panel and Vivint Sky app, and everything else you need to know. Lexington residents will also need to register their new alarm system by mailing in a registration form and a $15 permit application fee. This helps local 911 operators and police to cut down on false alarms, and it speeds up response time for emergency services if you ever experience a fire, break-in, or medical emergency. To get a quote on the right plan for your household, fill out the form below or give us a call today at 1-877-553-3497.